Traditional Chinese and Asian Medicine. Herbal medicine, acupuncture,dietary therapy, massage therapy, and exercise while most of these types of treatments are considered in the west to be alternative therapy's, in Asia these so called alternatives account for up to 50% of all medical care delivered in Asia. 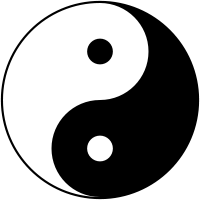 Yin and yang is one of the corner stones that all chinese medicine is based around and the lower part of the body is attribituted to the yin while the upper body is the yang. Herbal medicine is huge in china for example with perscriptions containing a lot of ingredients. Typically a Chinese medicinal prescription can have up to twenty different substances chosen from a huge verity of medicinals ranging from plants and herbs to animal parts and even human substances could be used.Usually the prescriptions are taken as an infusion with liquid. This is a growing method of treatment that has gained popularity in the western world and is used frequently for ailments such as back pain and most pain in general it can even be used instead of a general anesthetic.